In our field, it’s hard to get bored. Between constantly changing technologies and constantly evolving clients, we spend every day creating visual content that is new, creative, and uniquely us. At Max Curious, we’ve always been proud of our versatile expertise and ability to create high-quality branded content, and we’re not the only ones showing off that pride. Recently, our clients have spoken out about our work in brief phone interviews with Clutch. Clutch is a ratings and reviews site dedicated to providing in-depth analyses of B2B service providers worldwide. On their platform, the firm researches everything from mobile app developers to logo designers to video production companies. To help them do so, Clutch enlists clients who speak first-hand about their experiences with this wide-range of partners in details reviews, offering a unique insight into what it really means to be a great partner. "The finished pieces are very high-end, which aligns with our partner's brand. They reflect the different personalities of the bartenders, which was a key goal for us. They entertain the audience with interesting stories about life beyond the bar, but also show you how to make some beautiful cocktails." "They’re incredibly communicative and proactive, as well as deadline and budget driven, which is great. They’re the kind of vendor that does what they need to do to make sure they deliver on time, working late nights or weekends if necessary." "They were phenomenal and took on a lot of responsibilities, including logistics and administrative tasks. I was expecting to have to do a lot more of the project management than I had to. They're a very collaborative group and were open to allowing me to be very involved in their process. They understood the type of content we needed to create—that they weren't creative films, but rather branded media pieces for a business." "Whenever I’ve tried anyone else, I’ve always gone back to Max Curious. I’ve never not been happy with the work or the relationship. I’m not very objective in this sense, but I’m very happy with this team, and I’m always happy to engage them." From major entertainment networks like The Sundance Channel to small consultancies like The Chilton Group, we’re incredibly proud of the unique work we do for every partner we take on. 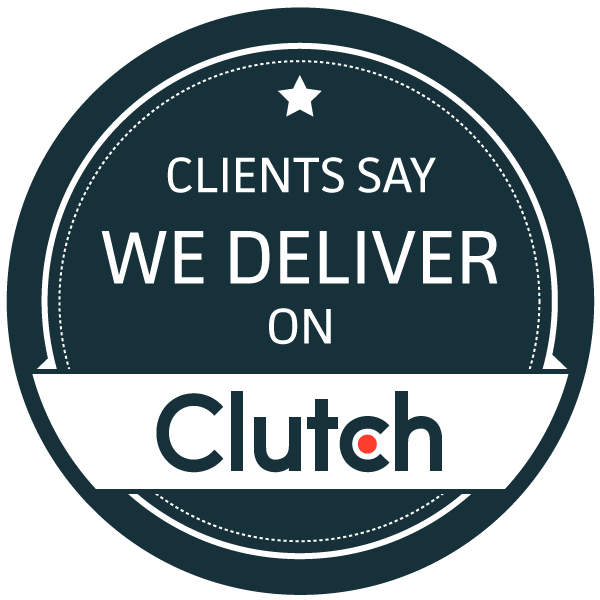 As we continue to work with Clutch to earn client feedback, we’re excited to hear what our clients have to say. Thank You Clients and Thank You Clutch!